Test Studio for testing hybrid & Web app for IOS!!!!! 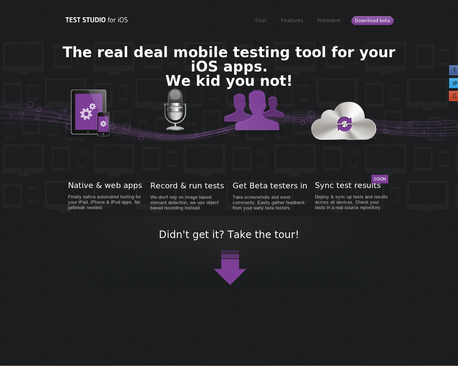 Test Studio a native app is first ever mobile testing app is directly downloadable by consumers. Telerik offered this testing service for iPhone, iPad & iPod apps. The need of this native app from a quite a long period of time enable Telerik to bring this app in ios platform. Not only ios platform this supports Mono Touch, Phone Gap & Xcode platforms. “The explosive growth of the iOS application development market calls for a solid testing solution that ensures apps are of outstanding quality in order to stand out from competitors and raise the bar in user experience. We’re pleased to announce the availability of this first-of-a-kind invaluable tool that developers can now download from Apple’s App Store,” said Christopher Eyhorn, Executive Vice President, Telerik Testing Tools Division. 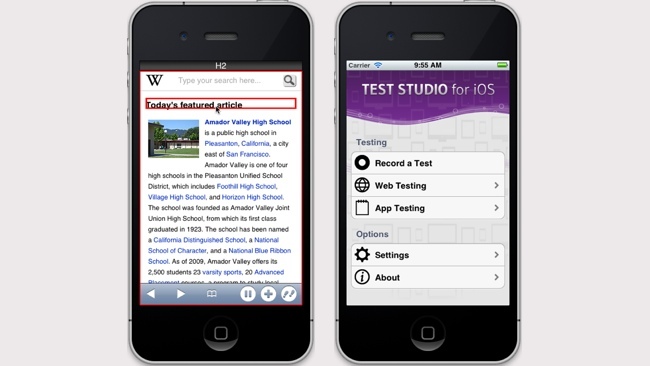 It lets for IOS lets you test various Web applications either its ios or Hybrid. The tool designed for Apple test ios controls, finger gestures like zoom, swipe & taps & also record test scripts. *No requirement of Jailbreak: The app do not require any jail breaking in your device. The native app allows you to test your device without the need of jail breaking. *Testing: Its object based testing is based on Element locators (to locate accurate elements) & there is no need of image capturing. *Bring Beta testers: Using ad-hoc testing it test through app & record feedback & various bugs encountered. It also sends comments & feedbacks to your mail. *Synchronize test results: It synchronizes your test results on different computer you work on. Not only that not only yours, you can synchronize your teams work also. It’s a premium service. *Offline testing: It support offline authoring execution. It take your tests on run & you can edit & execute test even without internet connection. Download Test Studio for IOS for free!! !